Gift Certificates - HighPerformanceRésumés.com Call 972.968.8640 Today! You are only one phone call away from giving the perfect gift (972.968.8640) to your new college grad, friend or family member. Since the average professional stays with an employer 5-7 years, this is the gift that keeps on giving with salary, benefits package, paid vacations, annual bonuses and retirement benefits. 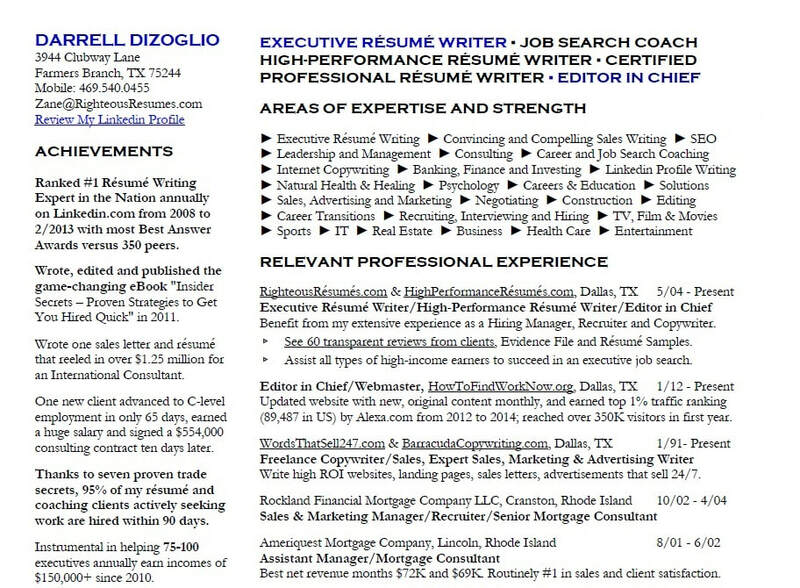 Expert advice, my game-changing job search eBook, an in-depth interview and employment interview preparation comes with every resume writing service. You chose the amount of the gift certificate (prices list on Services page) and multiple people can contribute to one person's gift certificate. Over the last five years, 95% of my clients (who actively sought employment) were hired within 90 days! Currently, I have 72 glowing Linkedin recommendations from clients who were hired quick. Call 972.968.8640 to order a gift certificate for your child, spouse, family member or friend today. This is a significant and lasting gift that will help them advance their career, boost their confidence and improve their earnings, so don't hesitate. We serve clients in all 50 states via telephone, Internet and email and clients in N. Dallas TX are encouraged to meet me for a face-to-face interview by appointment.